Hi all, Lorne here. 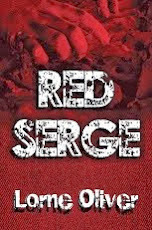 I've been neglecting my blog for a while, so it's time to get it going. I've been talking to some writer friends of mine and there are some great guest posts and interviews coming. When it comes to mysteries, readers love series, and once they’ve gotten hooked on a good series, they don’t want to wait too long for sequels. Writing a series, I’m discovering, is a lot tougher than it looks. Call it on the job training. Readers tell me they can hardly wait to spend a more time with my characters. The characters have become very real to them. That’s wonderful. Fantastic! Now that the first two books in the No Ordinary Women mystery series—Murder at Spirit Falls and Spirited Away—are out in print, I thought I’d be sailing along on the third book, Forgotten Spirits. After all, the characters have been jabbering inside my head for at least 13 years, and I’m very familiar with the settings. But I find I’m stumbling over minutiae from earlier books in an attempt to keep the details consistent—things like Robin’s college major, how old Cate’s dog is, or whether Foxy’s bedroom faces the street or the alley. If I get it wrong, the picky reader of my imagination will post a review declaring my writing amateurish. More difficult is keeping the tone consistent, while shifting points of view and allowing the characters to develop and change over the course of several books. Five book club women form the backbone of each story, but their roles shift a bit from one book to the next. It’s hard to give them equal time—in fact, it would sound contrived if I did, and so they’ll have to be content with having quality time. The hardest part, and one I should have anticipated, is not only managing my time so I can promote and market two books while writing the third, but having fun in the process. I believe that last part might be the most essential, because if I’m not having fun writing the story, why would I expect anyone to have fun reading it? 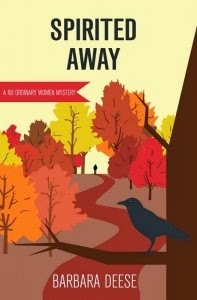 A No Ordinary Women Mystery. Robin Bentley's cabin, perched above Spirit Falls in the lush Wisconsin woodland, is remote enough for her and her book club friends to shed the restraints of city living, hike in the woods, take moonlight walks and go skinny dipping under the waterfall. 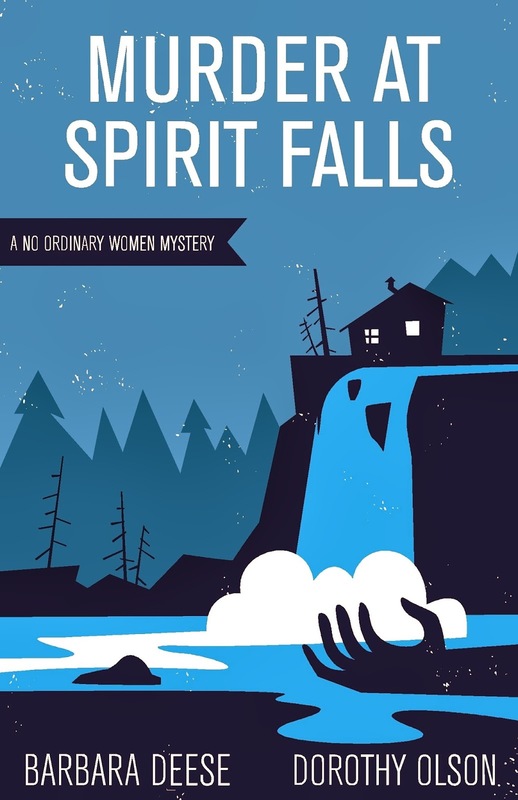 But when they discover a battered body below the falls, the No Ordinary Women find themselves up to their bifocals in a real mystery, and one of them could be the next victim.